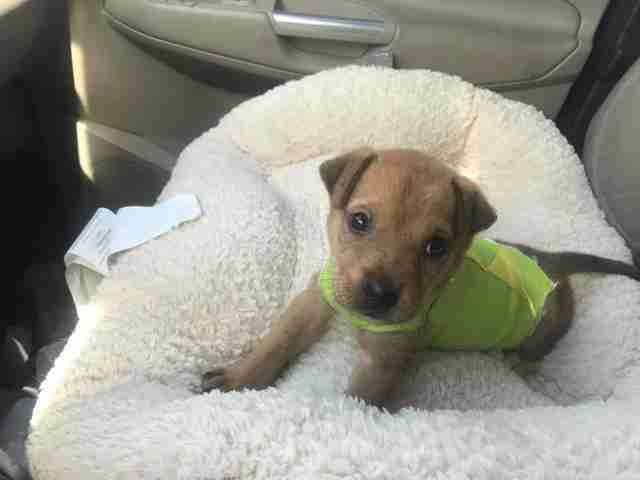 Evan was rescued from a big shelter in Texas when he was around 7 weeks old. He was pulled by Rescue Dogs Rock NYC, which learned he had a huge burn on his back that was badly infected. 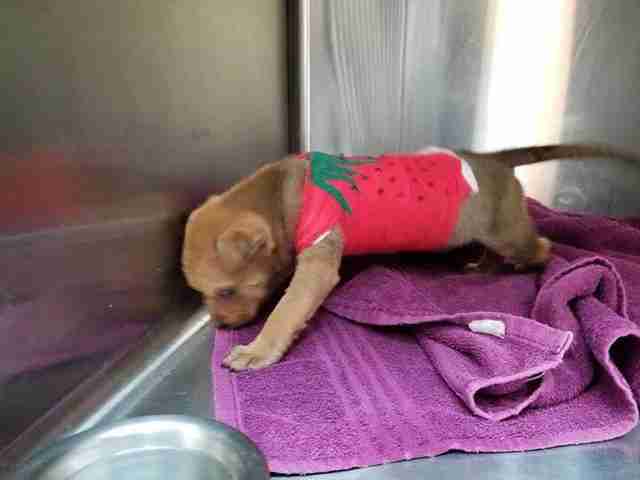 The rescue desperately wanted to help the tiny puppy survive. 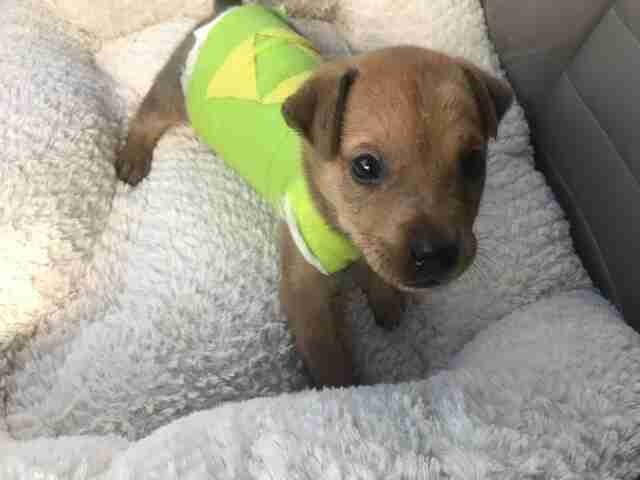 He was immediately rushed to an emergency vet, who treated his wound — and since he was so tiny, dressed him in a full body cast. … and later, decorated his green cast with a hazard symbol. 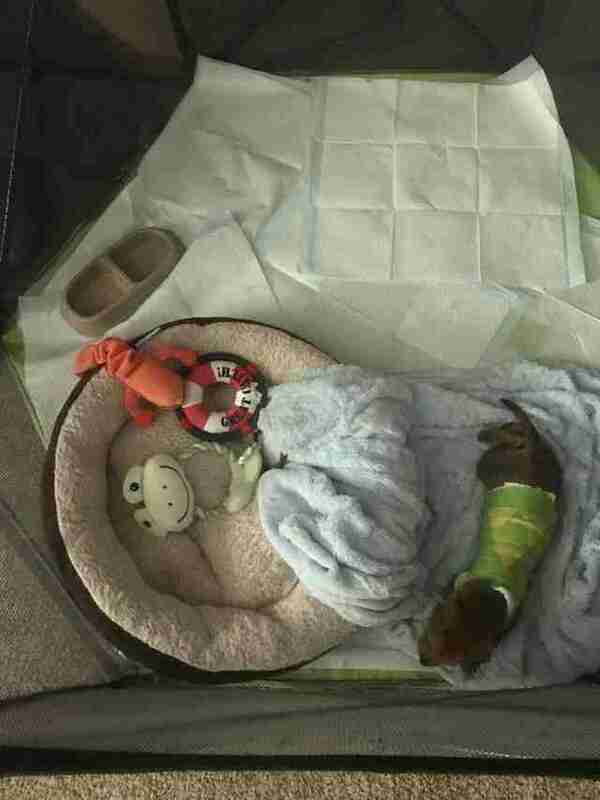 The cute designs helped dress up the body casts and lift the spirits of everyone working with the tiny puppy, who had been treated so incredibly poorly. 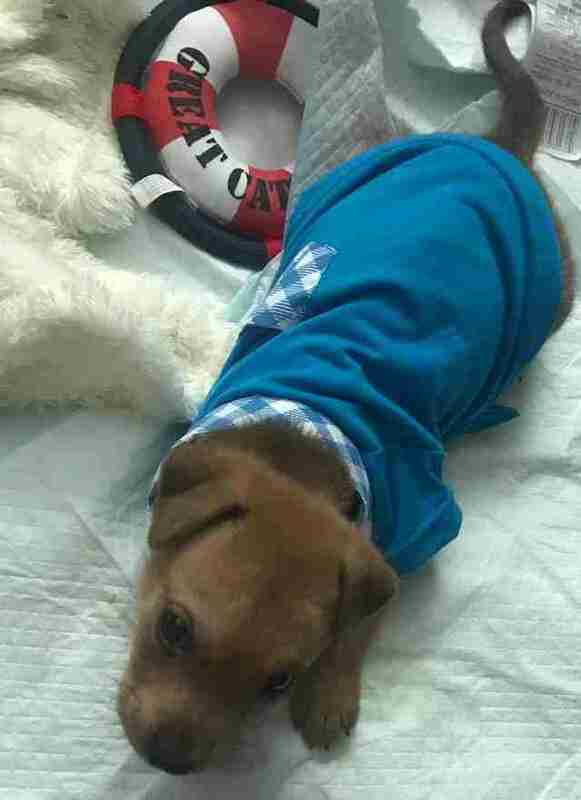 Evan was also diagnosed with coccidiosis and kennel cough, and began treatment for those as well. … and couldn’t have been more excited on the car ride home, finally headed somewhere where he would be treated right. 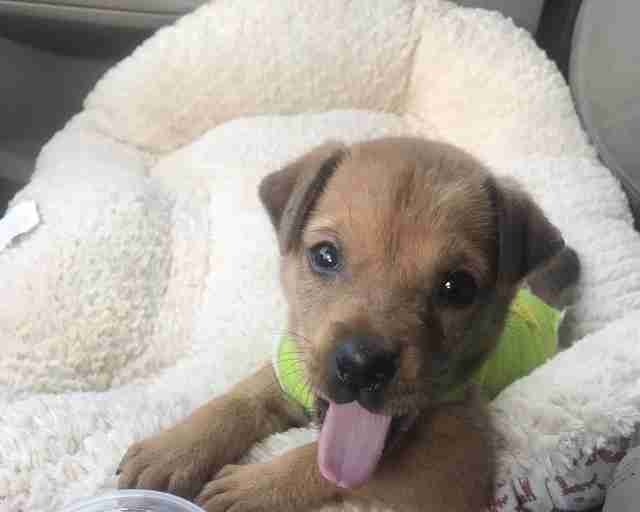 “He is a very happy boy who is still clearly a puppy, enjoys chewing both toys and people,” Michele Alexander, Evan’s foster mom, told The Dodo. 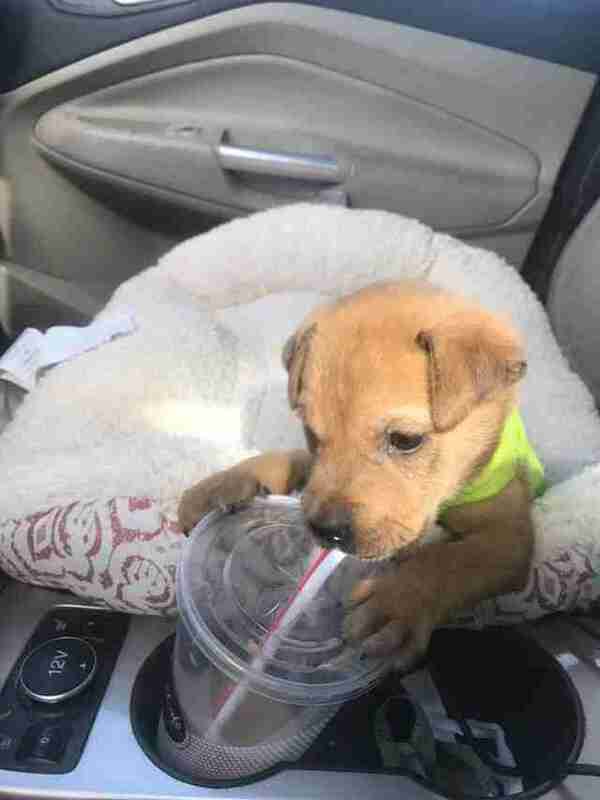 … and generally be the cutest puppy around. Recently, Evan went back to the vet to get his bandage changed, and the vet determined that he no longer needed his full body cast. His foster mom is making sure his wound is constantly moisturized and covered to continue the healing process, but it seems that very soon, Evan will be completely recovered. 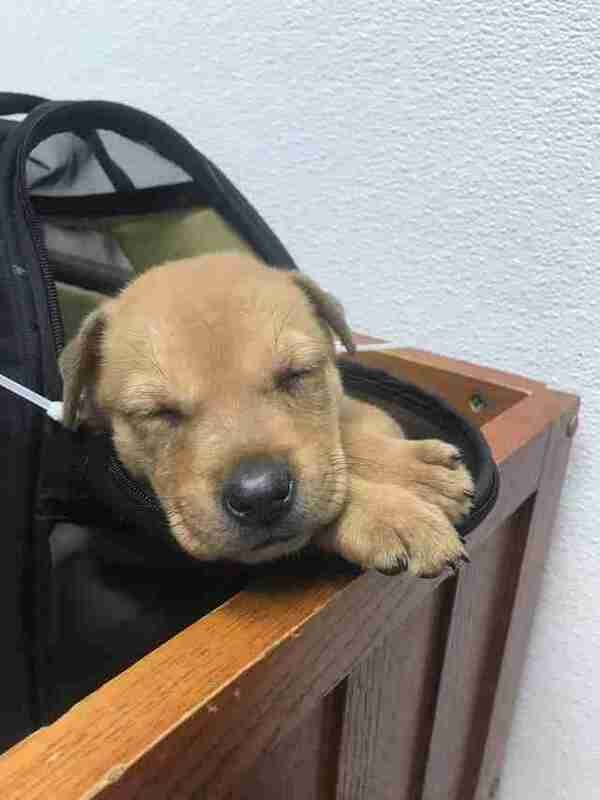 Once he’s old enough, he will be up for adoption, finally ready to head to his forever home — and his foster mom knows he won’t have any problems finding the best new family. “He already has several applications and interest as he is just a handful of handsome,” Alexander said.